The California Sportfishing League has released a study that finds that the high cost of purchasing an “annual” recreational fishing license has proven to be a formidable barrier to access and has contributed to an unprecedented decline in recreational fishing. This comprehensive study may be the first time an effort has been made to compare the cost and value of annual fishing licenses, state-by-state. 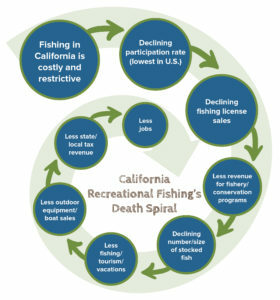 The results provide California policy makers an insight as to how costly annual fishing licenses are impacting participation rates, and how it could harm the State’s economy and communities dependent on recreational fishing for $4.6 billion in economic activity each year. The study finds that, since 1980, annual recreational fishing license sales have declined by over 56% in a state that has witnessed a near 60% increase in population. It also reaches an alarming conclusion that there could be less than 500,000 annual licenses sold by 2027 – a 77% decline from 1980. To stay up-to-date with CSL’s advocacy efforts, click here to join our email list. 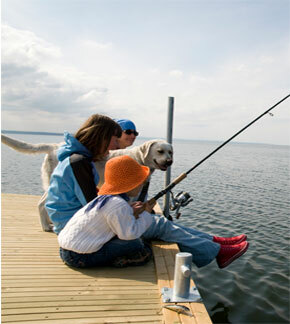 To help CSL continue to protect your right to fish, click here to make a donation.